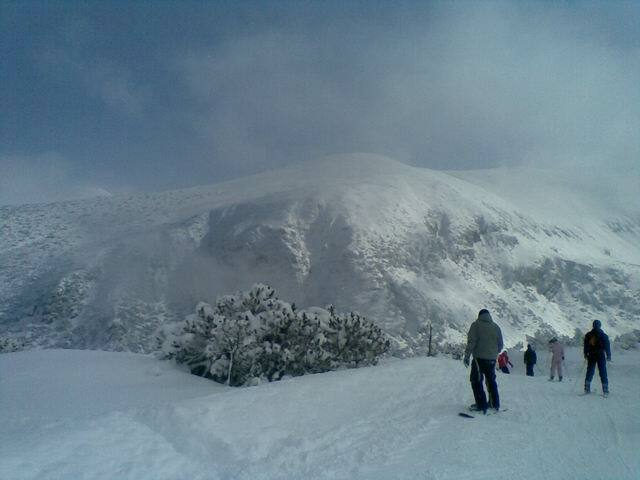 This season I have visited Borovets 5 times. The last time was this weekend. 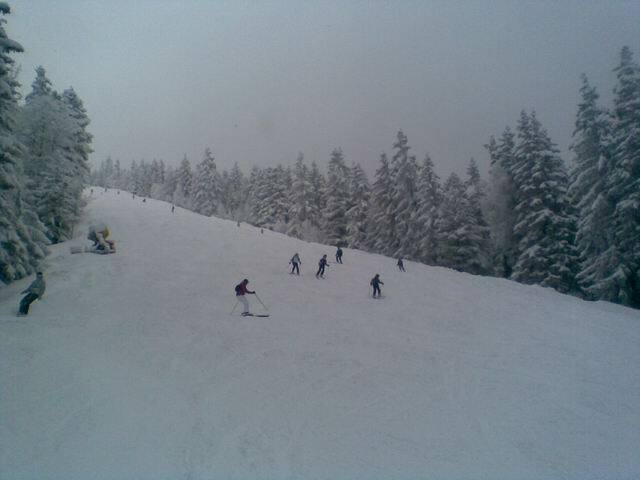 During the whole week there was a heavy snowfall and I have plans to do some snowboarding at the Bansko slopes. However some friends could not come. 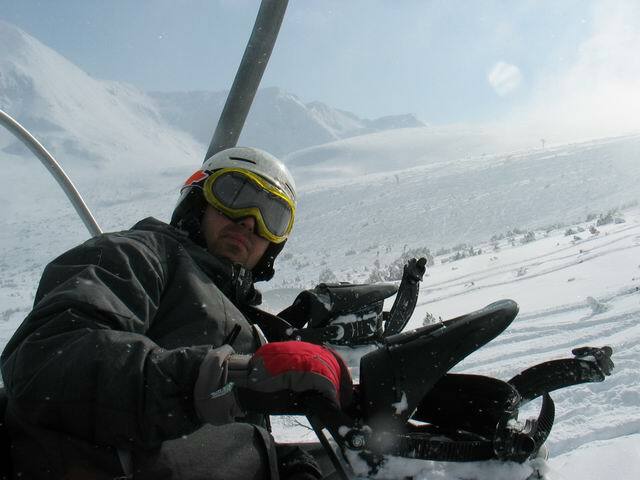 Additionally, there were problems with the road to Bansko due to the new snow cover. 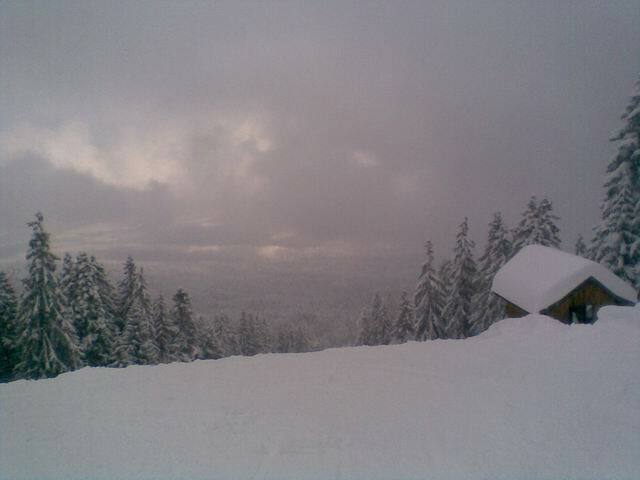 Thus we decided to pick a closer destination and hit the Borovets slopes on the Saturday early morning. Luckily the road was well cleared and we manage to reach the resort in an hour and a half. 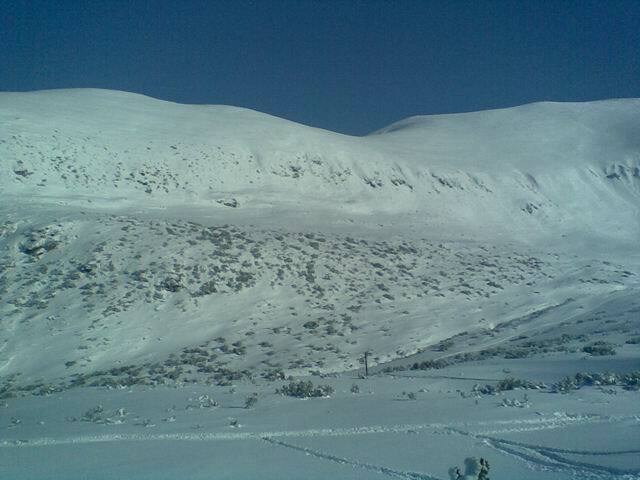 The snow cover on the highest parts of the slopes was about 1.80 meters. There was a lot of powder, which ensures the great experience out of the slopes. 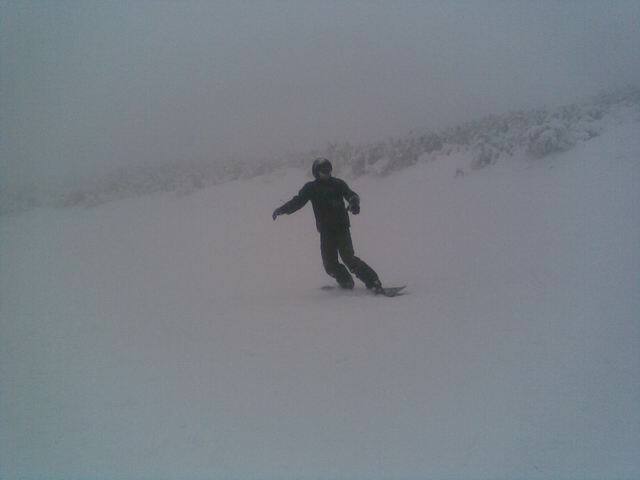 We started snowboarding from 9:00 a.m. In the beginning there was enough powder even on the slopes, which still were not maintained by the rack-tracks. We managed to made a lot of rides down the Yastrebets before 12 o’clock. By this time the slopes were already covered with bumps and we decided to take the Gondola lift and try the highest downhills in the resort. We went to the Markudjik slopes. 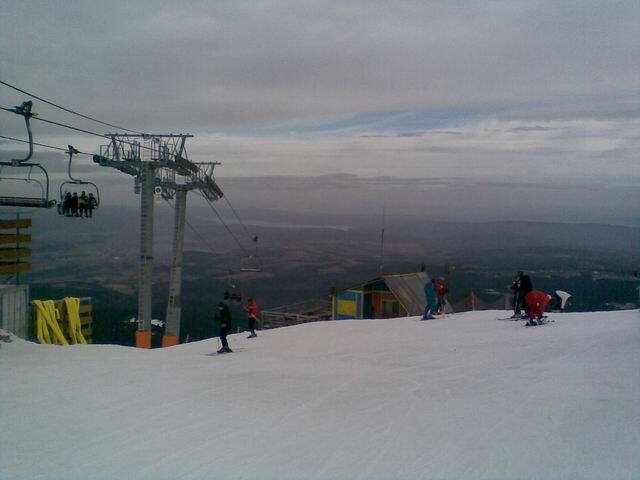 These slopes are really beautiful and the view there is amazing. You can see a lot of peaks above the clouds. Also, there is more snow and they are a perfect choice for the afternoon. Sometimes there is a fog, but if you are familiar with the slopes and the paths which bind them, it is unlikely to get lost. However, you should be careful when you ride in the deep powder besides the slopes, because if you fall, it is difficult to dig your way out. Actually this year I have tried Markudjik slopes for the first time. The reason is the new ski lift, which was set there. Before the lift there were only rope-lines and to be honest I am not a big fan of them. Usually I get more tired trying to reach the upper part of the slope with a rope-line than from the actual ride. The other reason to pick the Markudjik slopes are the people, who come in the afternoon for some ski activities. 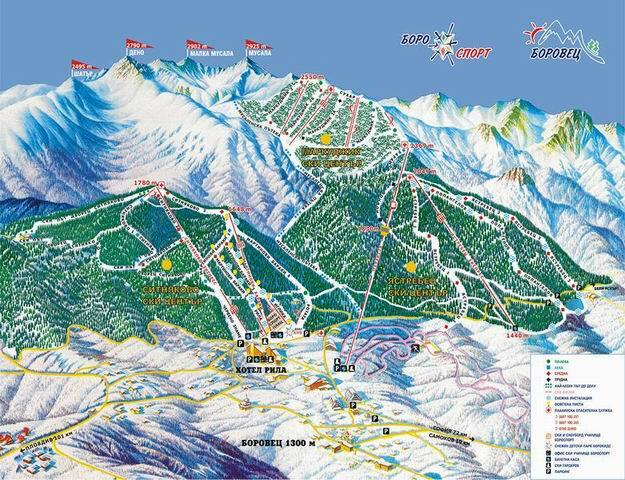 After 12:00 starts the midday period and the price of the lift pass drops half. A lot of people prefer to sleep more and to go in the mountain in the afternoon. This makes some queue at the lift stations. The Markudjik slopes are higher in the mountain and half of the crowd do no reach them. They prefer the ones at Yastrebets. This weekend the weather was cold, although there was some sun. Luckily I have just bought a new pair of gloves and I did not have any problems with the equipment. It is important to have a good winter outwear to keep your body temperature constant. 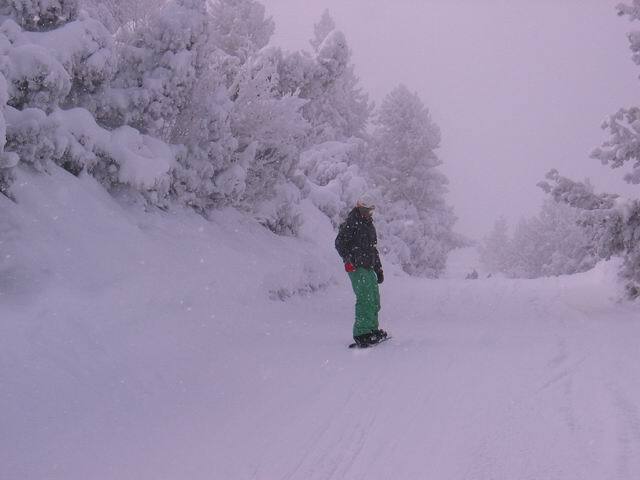 In this way you can better enjoy the snowboarding not feeling the discomfort from the cold and the moisture. Also, when you fall in a snow-drift, which covers most of your body, only the good equipment can save you from freezing and ease your way out. In the late afternoon, the foggy weather was conquering even the lower parts of the slopes and I moved back to Yastrebets ones. Most of the people left and there was enough room for speed rides. We ended the wonderful day at 4:30 p.m. when the lifts close. Then we took our car from the parking at the resort and drove back to Sofia. 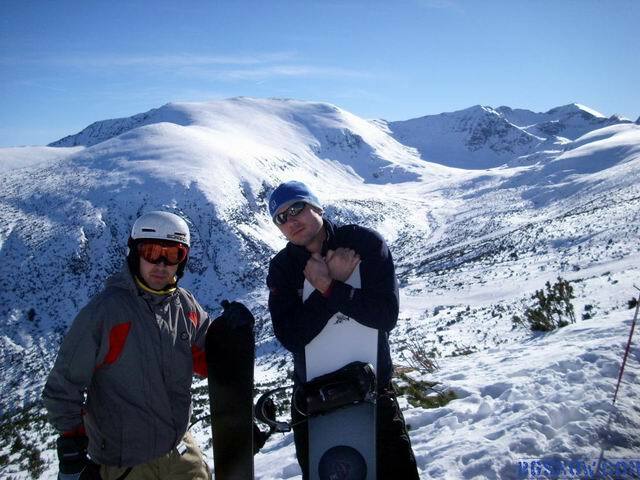 Besides the great snowboard conditions which can be found in Borovets, you can even see a demonstration from some famous snowboarders. Also, there are different competitions held in the resort. For example a few years ago some friends and I watched a Burton team demonstration. 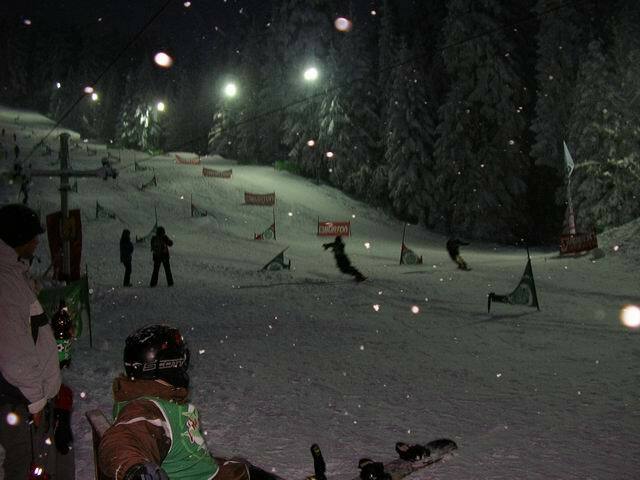 Now we are eagerly waiting for the next weekend to try some more slopes in the Bulgarian winter resorts.